With Final Fantasy XIII making it's way up in every RPGers mouth there is also another Final Fantasy that it's claiming up in all fans around the world and that is Final Fantasy XIV. Like in every Final Fantasy the stories are well thought of and the adventures that it undergoes can leave the player breathless and sometimes broken at the ends, attaching ourselves to the story and always praising the ones that really got to our hearts from the very first Fantasy to the ones to come. In Final Fantasy XIV there are two stories which embattled the game, although on it's beta form the descriptions and music played on it's official website, it can bring up emotions that only a Final F antsy game can. 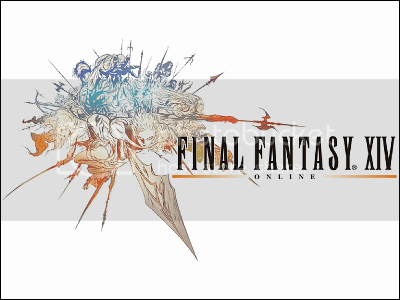 The reason why the tittle of this blog is The Return is because in this game the crystals have been brought back once again, this crystals are the miniature strings of hope that are given to the adventures of the new Final Fantasy World. Though like mention before the MMO is still on it's beta form and there is much room for change and improvement, although by the looks, the music and the story I'm already hooked. The races are I do believe the same that were used on Final Fantasy XI, the difference is the detail that they have been given. The monsters however did evolve into cutter and really creepy creatures. There is also plenty of information in the website for the game play, from what I've read it is bound to take the player into a deeper relationship with their characters and the level ups are going to be your skills. Gurren Lagann: solution to self-esteem problems? how do you save money for anime?